First published in The Saturday Telegraph Magazine and subsequently as a cover for the Sunday Herald, Stern magazine and many others. The pictures taken here represent exclusive back stage access to the sets of the Dream-works and Aardman blockbuster “Curse of the Were-Rabbit” in Bristol. 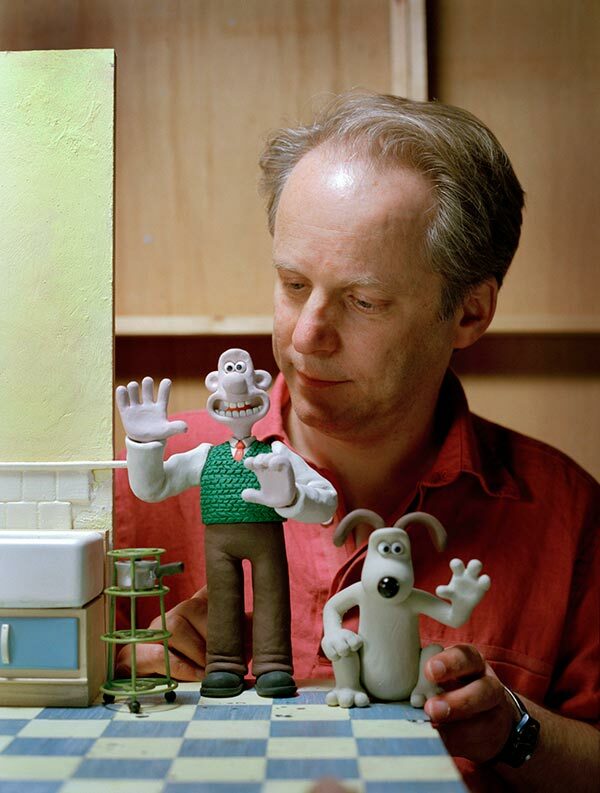 The film by Wallace and Gromit creator Nick Parks is the first feature from the thrice Oscar Winning Director. With a staff of over 240, over thirty sets, and a multimillion dollar budget the movie is a far cry from the original claymation adventure started in Nick’s shed as a college project. despite the Hollywood backing the film remains quintessentially English as ever drawing extensively on parks 50s, Lancashire childhood; a closer examination of the sets and characters shows this and demonstrates parks meticulous attention to detail drawing in, for example the collection times of the pillar boxes, despite the fact the camera will not pick up such details. The love and singular vision of Parks is vindicated with in its first week it went straight to number one at the US box office.